Teacher burnout occurs when the demands of the profession become overwhelming. Teaching, as both an art and a profession, requires a high level of energy. For one hundred and eighty days out of the year, a teacher must face a classroom of students, motivate them, educate them, and prepare them for the challenges of the future. Each day presents a new challenge for a teacher. Some teachers will have a classroom of half a dozen special needs children. Others will nurture twenty or thirty elementary age children, while a high school math teacher may have one hundred and fifty different students on a daily basis. All teachers, regardless of class size or subject matter, face challenges, and one of the biggest challenges they all face is teacher burnout. Teacher burnout occurs when the demands of the profession become overwhelming. Teacher burnout can come from the monotony of delivering the same lessons day in and day out over the course of several years. It can also happen as the result of particularly challenging students. Trying to motivate children who cannot or will not invest in their own education can be frustrating and cause even the most dedicated teacher to lose their own energy for the job. While there are numerous causes of teacher burnout, finding a remedy is not always as easy. 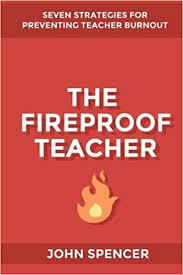 Different teachers will burnout for different reasons, and at different times in their career. Recognizing the signs of teacher burnout and constructing intervention programs are but two of the tasks facing administrators. Paper Masters writes custom research papers on Teacher Burnout and discuss the many factors that can cause the burnout of someone in the teaching profession.